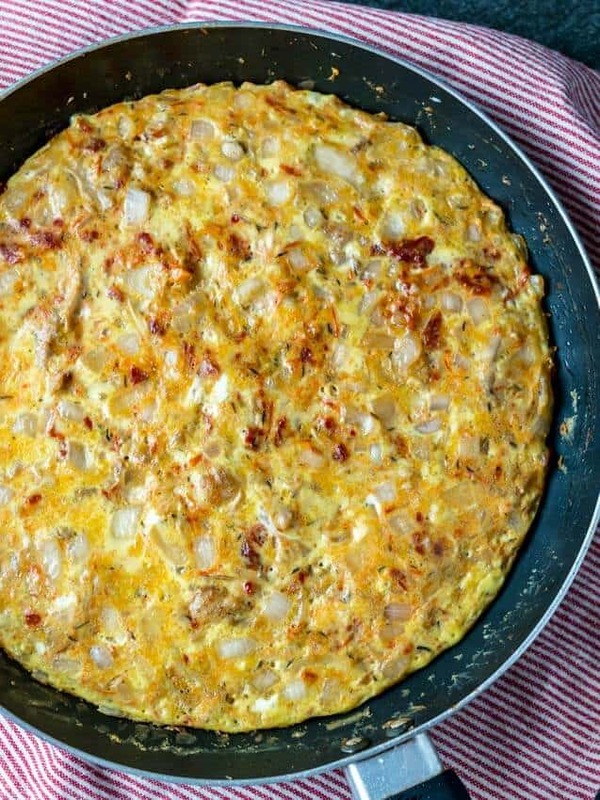 A frittata is my very favorite go-to when I don’t know what to serve for breakfast, lunch OR dinner. It’s such a quick, easy and healthy thing to make and it’s a good way to use up little scraps in the fridge. This chicken frittata recipe is a creation of one of those days where I took what I had in the fridge and made a meal. Surprisingly, it turned out pretty darn delicious! 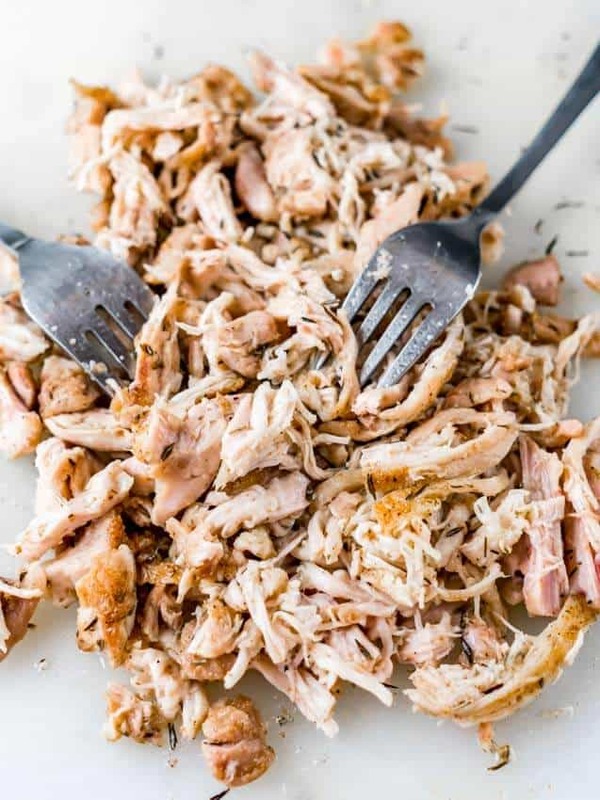 I cooked up a few chicken thighs and shredded them up. Added some spices, sun-dried tomato and egg and voilà – a yummy meal! 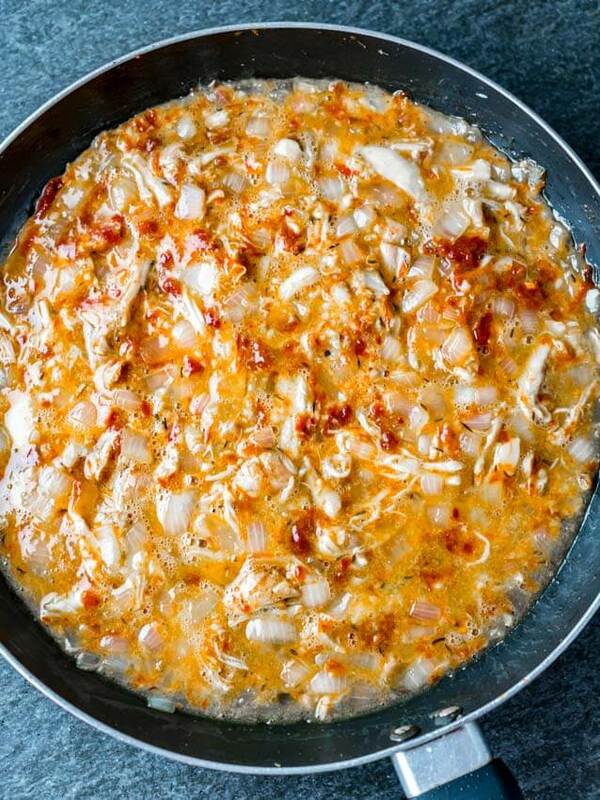 You can even use a rotisserie chicken to make this chicken frittata if you want to save yourself a few steps! 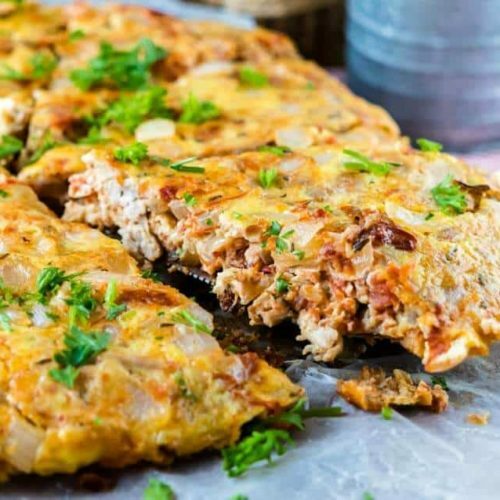 How to Make The Perfect Keto Frittata? Making a frittata is literally as easy as it gets…as long as you have the right tools for the job! You definitely need a non-stick pan that is oven safe. I like THIS ONE from Cuisine Art. (If you want to get extra fancy and cook a lot of frittata’s, you can even get a frittata pan, which makes the job EVEN easier. Like THIS ONE. A large spatula like THIS is helpful, but not strictly necessary. When I make a frittata and it appears to be giving some issues coming out of the pan, I cut it in the pan and take it out in two or four pieces. A large spatula definitely helps, though. Basically everything except the eggs gets cooked and mixed together. Then, the eggs get added, everything stirred through and then you let it sit. You let it sit and sit until the whole things creates little bubbles. Then, when you shake the pan back and forth, it should appear solid. Now you take it off the stove and you pop it into the oven for a couple of minutes to cook the top of the frittata. Unless you had a frittata pan of course…then you’d just flip the whole thing over into the other side of the pan. Yes! 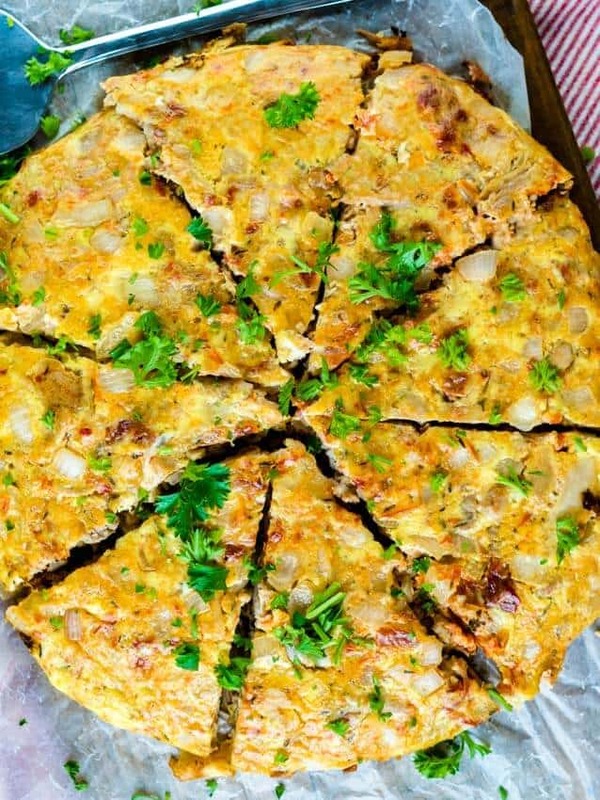 And because our recipe doesn’t use any dairy – it is also a Paleo Frittata Recipe and Low-Carb compliant. And now that I really think about, it’s also Whole 30. This is another one of those recipes that tastes so good, it just can’t be healthy! But that’s the beauty of combining flavorful ingredients – food just tastes so good! 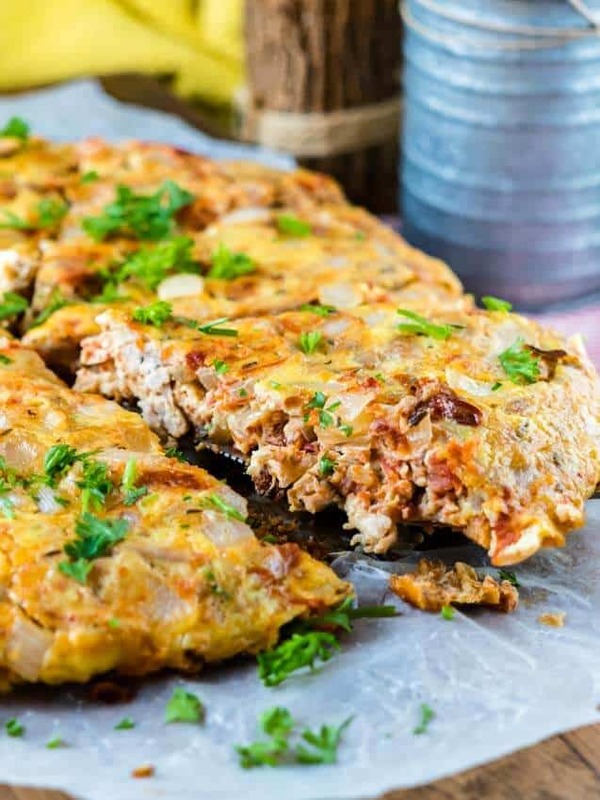 So, whenever you don’t know what to cook…that just means it’s frittata time and this chicken frittata recipe is sure to impress! Pin It! 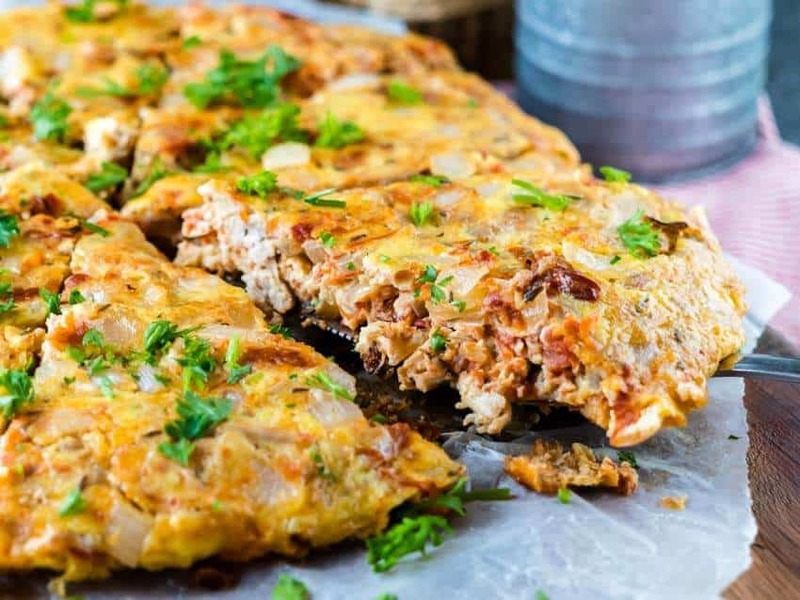 Keto Sundried Tomato Chicken Frittata! 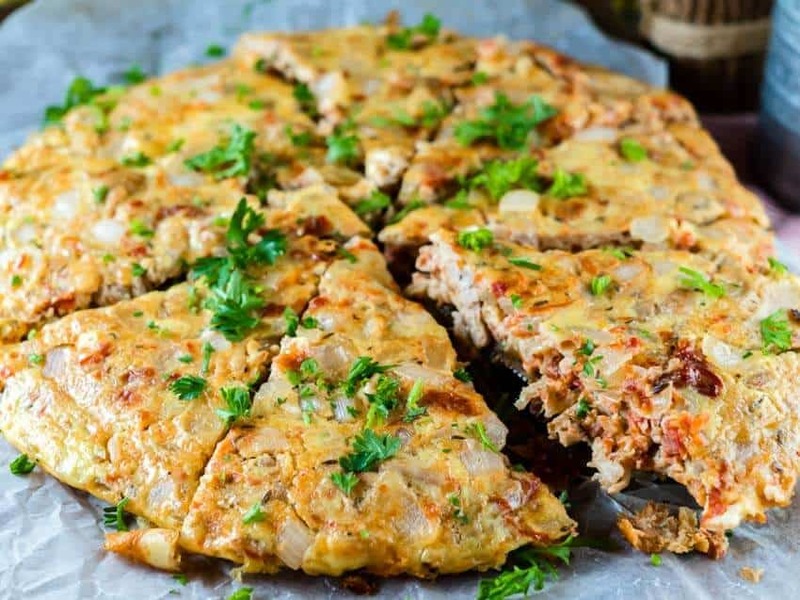 A quick and easy Sundried Tomato Chicken Frittata recipe. Ingredients, 30 Minutes. Gluten-Free. Low-Carb. Paleo. Keto. 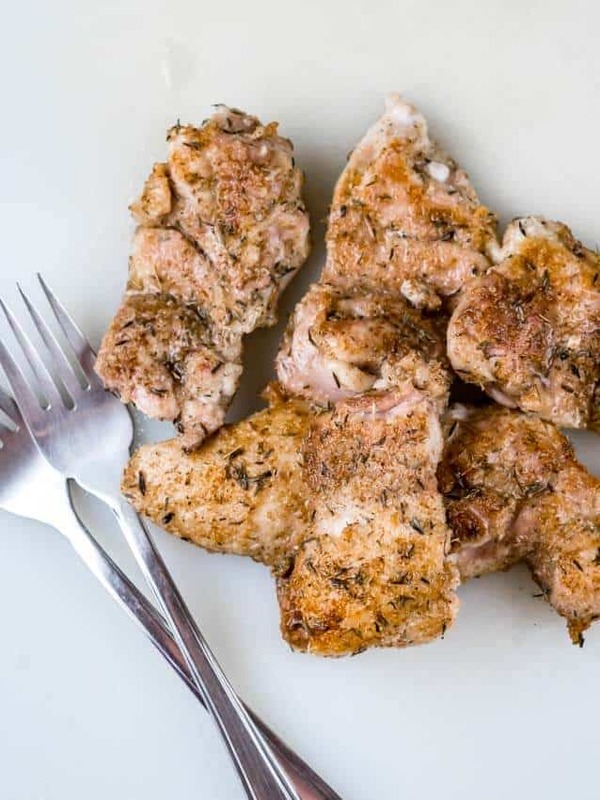 Season the chicken generously with garlic, thyme, a bit of salt and pepper. Add a bit of oil to a hot pan and cook the chicken for about 3 minutes per side. Remove and set aside. In the same pan, add the onion and sauté until soft and translucent. 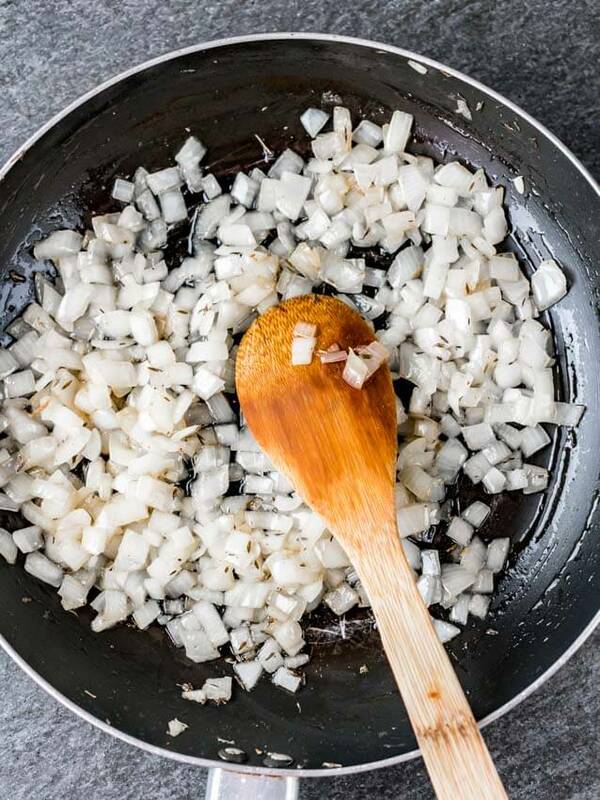 While the onions cooks, use two forks to shred the chicken. 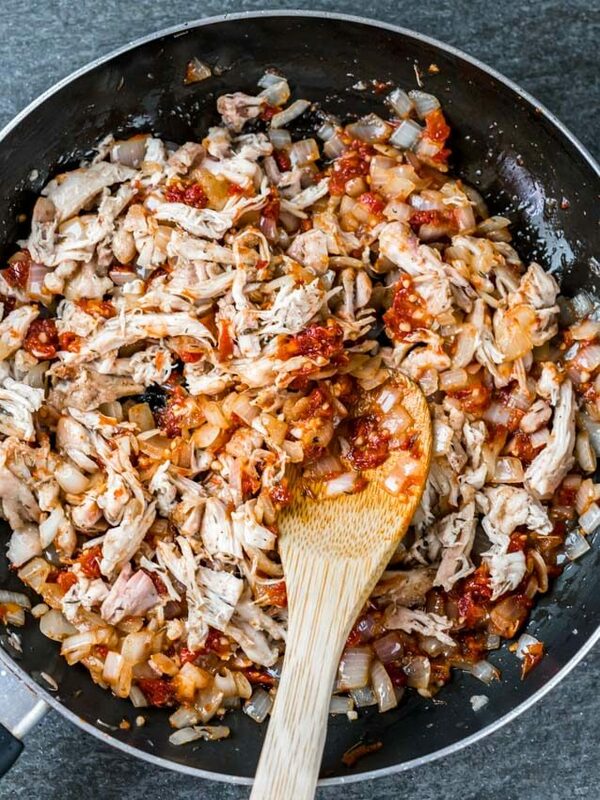 Now add the garlic, finely chopped sun-dried tomatoes and chicken and mix well. Add 1 tsp salt to the beaten eggs and pour over the ingredients on the pan. Stir for a minute or two until everything is evenly spread and set. Slide it under the broiler for about 3 minutes, until the top is cooked. I like to use sun-dried tomatoes that has been stored in olive oil.